Tacos are a good thing. So is beer. The two made scintillating music together in Waterbury with the marriage of Blackback Pub and the Mad Taco. 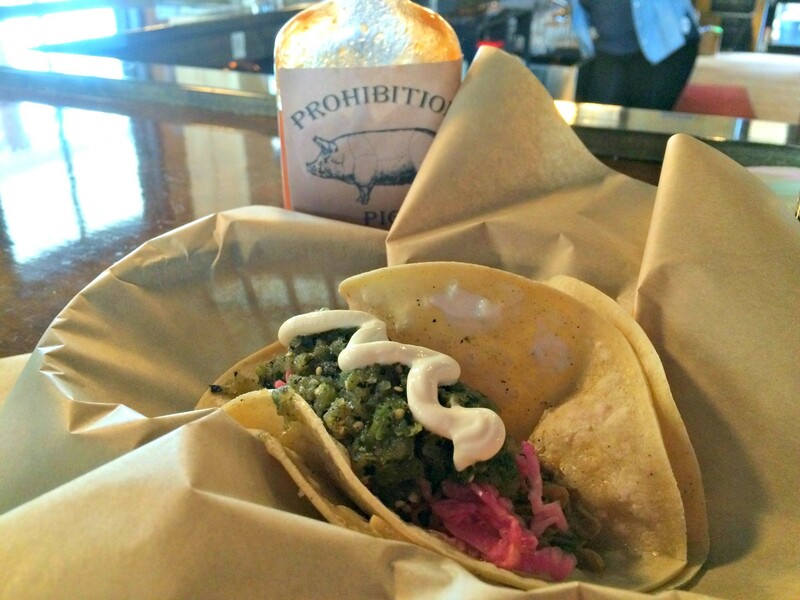 But when the businesses divorced last year, the beer-destination city became a whole lot less taco-tastic. 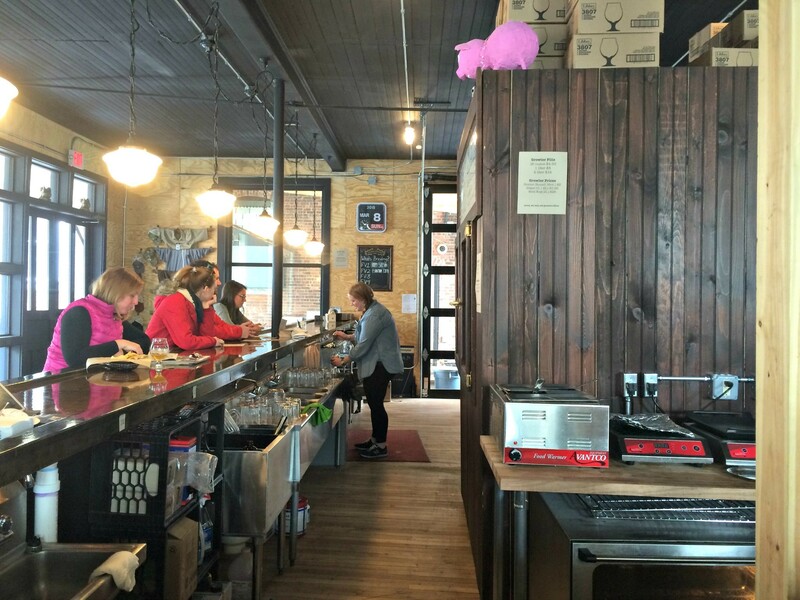 That changed the day after Christmas with the opening of Prohibition Pig's sister brewpub. It's home to a small menu, focused primarily on Tex-Mex snacks. The 49-seat bar has an unfinished look, complete with warning signs suggesting that the warehouse has survived a nuclear holocaust. Still, owner Chad Rich's stylish signature touches are in evidence, including a vintage cigarette machine. Food is prepared without a hood, with an oven and a flattop doing most of the heavy lifting to finish food prepared in Prohibition Pig's kitchen. Though I'm far from a beer specialist, I was impressed with the complexity of both I imbibed. 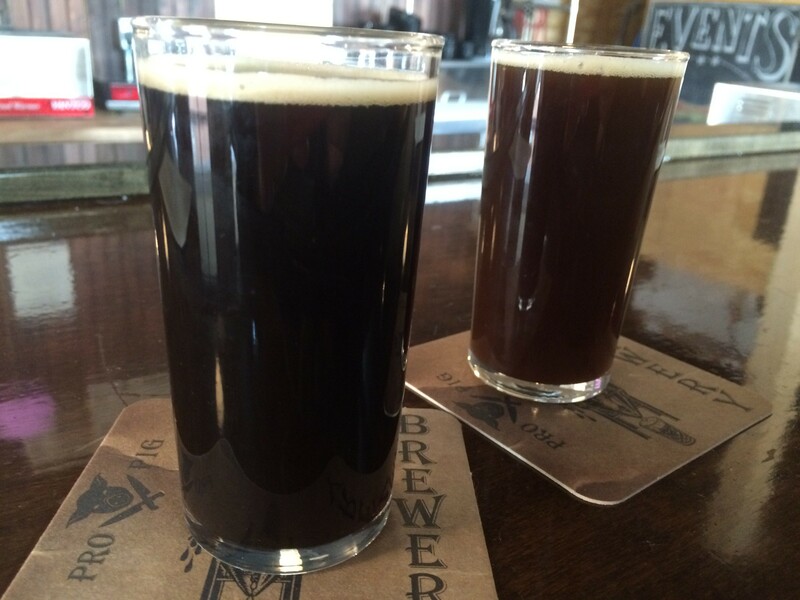 Back to the Grind was a coffee-oatmeal stout with a rich, forward taste of espresso and a sweet finish. Downtown Piggy Brown was described on the menu as a roasty-toasty brown ale. That was a very accurate start to describing the concoction's nutty smoothness. Both were almost entirely devoid of bitterness, great starter beers for a lightweight like me. I usually avoid ordering specials for reviews, but simply couldn't resist the nachos on offer that day. Hopefully, they'll be back so you, too, can enjoy the meltingly fatty, fried chips. 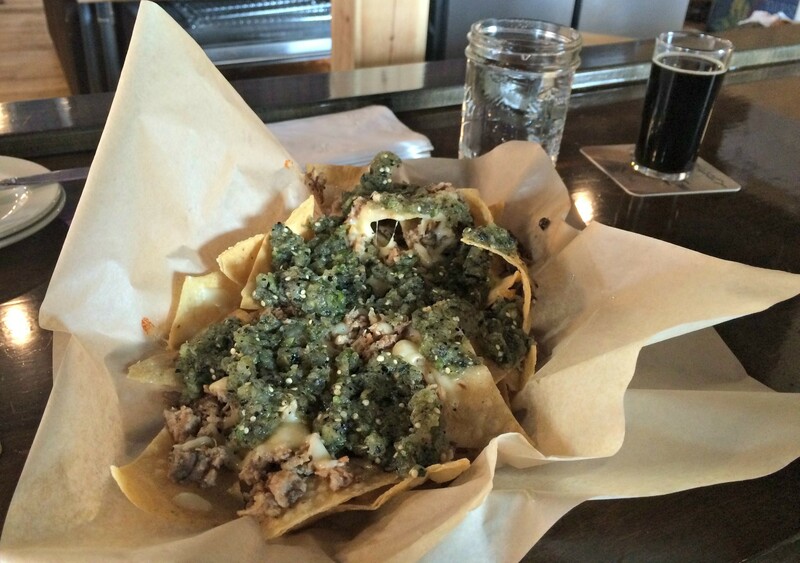 They served as an apt vessel for chopped, smoked pork, melted queso fresco and tangy salsa verde. Though less complicated than most nachos, the big, greasy flavors were anything but austere. 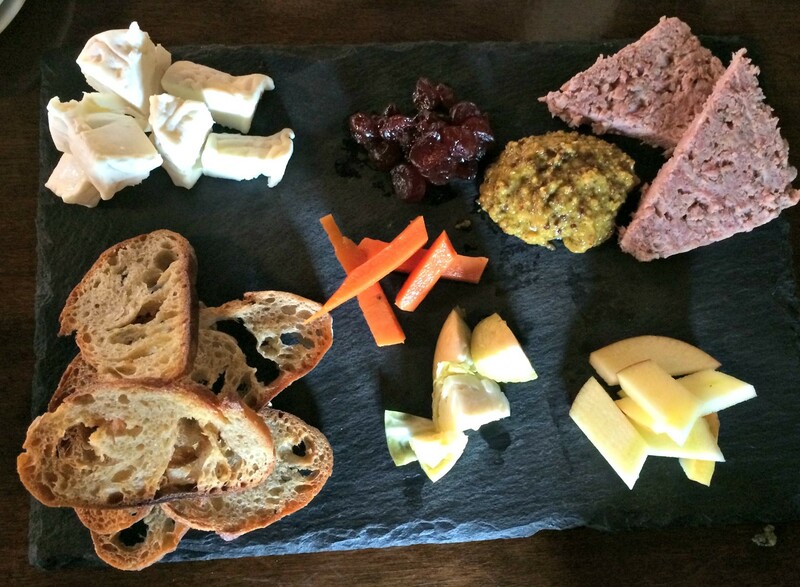 The most expensive item on the menu was the Meat & Cheese board, a presentation of charcuterie, cheese and pickles served on slate. One corner was filled with an entire Vermont Creamery Bijou sliced into spreadable pieces. I couldn't resist the mild, ultra-creamy goat cheese layered on crostini with pickled cranberries. Pickled carrots and Brussels sprouts were fine, but I'll be reproducing the cranberries at home ASAP. Spicy mustard incorporating Heady Topper paired admirably with chef Michael Werneke's satisfyingly umami country pâté. The same mustard gave a shot of heat to a pair of buttery little pretzel knots. But ultimately, I was there for tacos. I skipped the pair of ground-beef-filled Americano tacos in favor of stewed pork. Carnitas, to be exact. The aromatic flesh enjoyed a light layer of spice which I enjoyed in turn. I didn't mind the repeat of salsa verde, especially when paired with puckery lime slaw and a squiggle of crema. 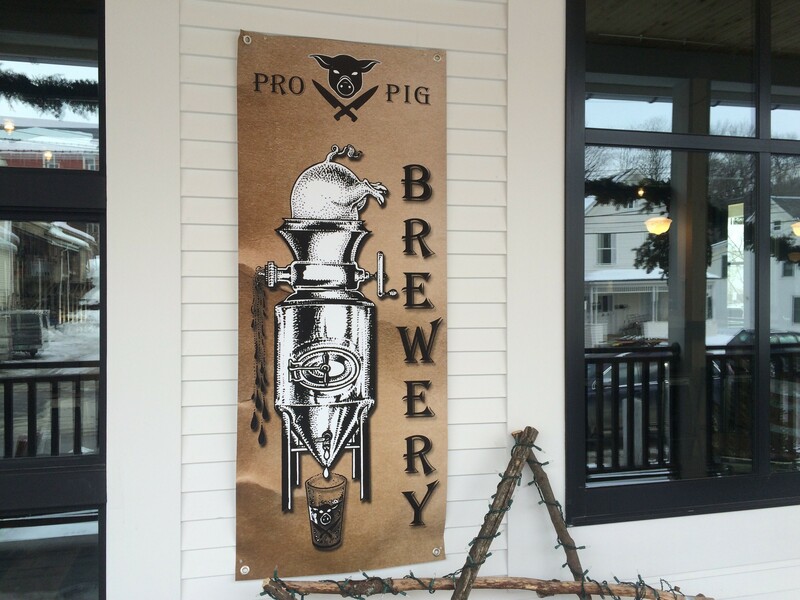 I was surprised to realize that, thanks to the exceptionally friendly bartender and cook, as well as the simple, well-crafted fare, I was enjoying myself at least as much as I do at the original Pro Pig. Maybe even more. I guess I'll just have to find a way to make more taco time.